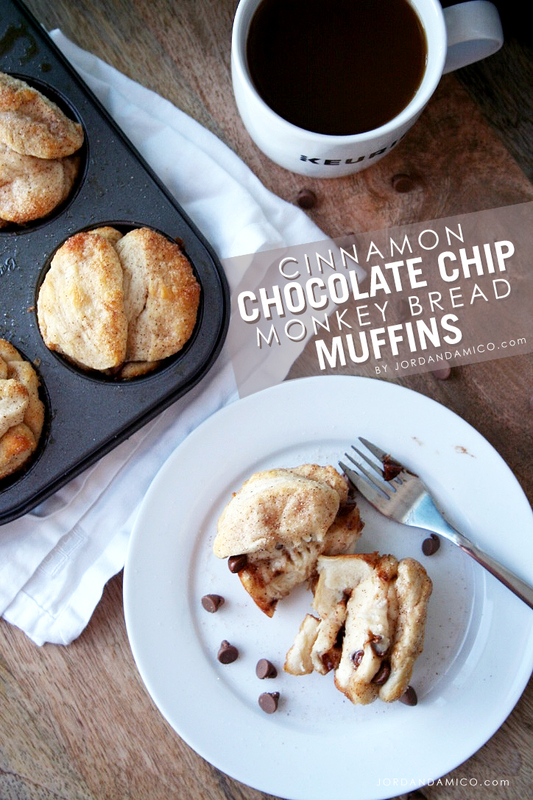 A delicious and so, so simple recipe for Cinnamon and Chocolate Chip Monkey Bread Muffins. It’s the perfect fall dessert for a sweet brunch or an effortless after-dinner treat. Dessert is something I’m almost constantly craving. Coated in chocolate, line with chocolate, next to chocolate – as long as chocolate is involved in some form, I’m there for it. Whenever I bake anything, the first thing I ask myself is, “Can I get chocolate in this without ruining it?” Afterall, I’m a chocolate snob (in that I eat it and judge those who don’t), but I wouldn’t dare use it in a recipe that it absolutely wouldn’t suit.